This Sunday is our big High Attendance Day at Morningside. 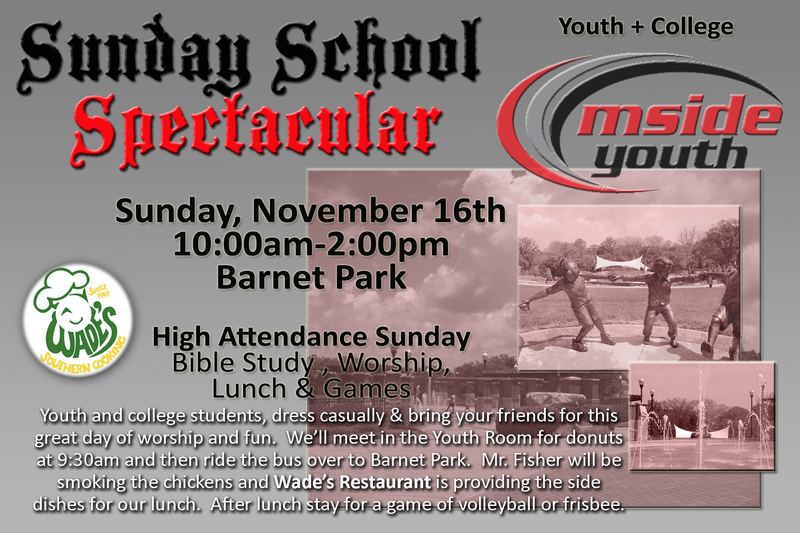 All youth and college students are invited for a great day of Bible Study, Worship, Wade’s Lunch & Games at Barnet Park. Rain, snow, cold, or whatever – we’re still having it. If the weather is bad – we’ll have an alternate location. Come to the church at 9:45am and we will go from there. Invite your friends – see you all on Sunday!